I'm in Minnesota, which means I live with cold weather, but I live for the warmer weather we get for a few months each year. Why do I live here? I ask myself that a lot. But I do live here, and that means I spend as much time as I can indoors most of the time, then start preparing to get out as soon as the thermometer climbs above freezing. Honestly, it's almost summer right now and the weather is in the 50s. But I'm not letting that stop me. 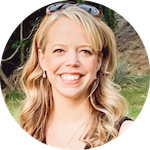 I'm thinking about all the ways I'm going to have fun in the summer, including how I'm going to make delicious summer treats. Like ice cream sandwiches. And vanilla orange popsicles that taste like a Dreamsicle. And lots of other unique popsicles recipes. Of course there will be ice cream, but I'll be honest; ice cream is a year-round treat at my house. I want a fun way to make it into something special when the hot weather actually comes around. 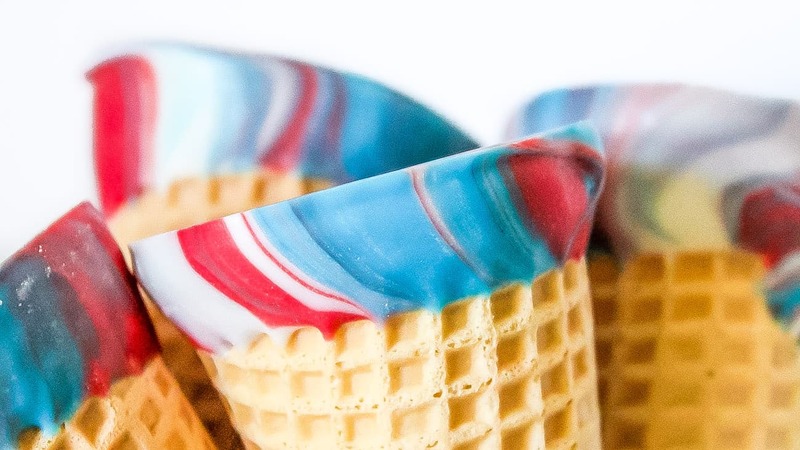 As it turns out, it's actually pretty easy to make ice cream more interesting when you make dipped sugar cones. I'm going to share the recipe and instructions for white chocolate dipped sugar cones, but you can easily swap ingredients to change it up. Like using dark chocolate. Or milk chocolate. Or strawberry. or just mixing up the colors. It's as simple as using different kinds of candy melts. 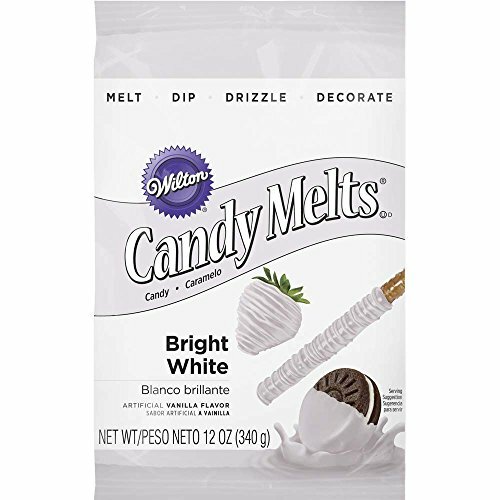 But here are some other melting candies that can be used in the dipped sugar cone recipe. You can also see a whole bunch of other colors that are available to buy here. 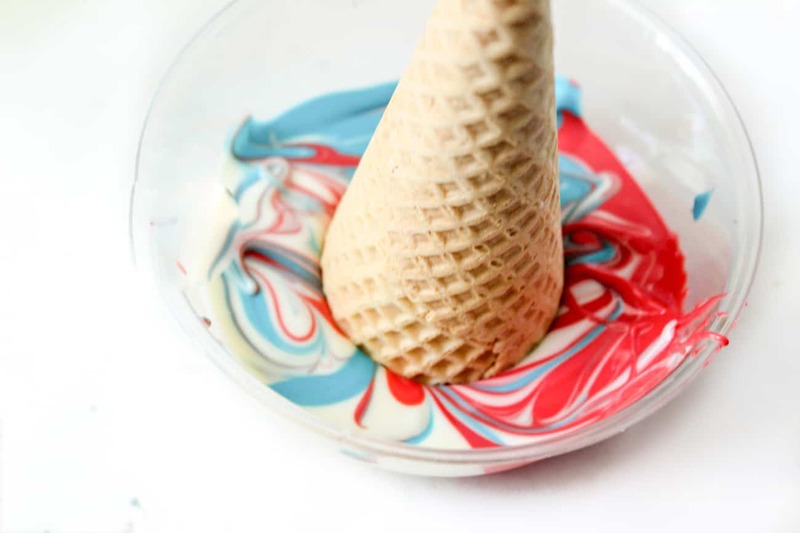 Here's a recipe with all the instructions you need to make dipped sugar cones in a rainbow of colors. We used red, white and blue, but you can choose any colors you want. 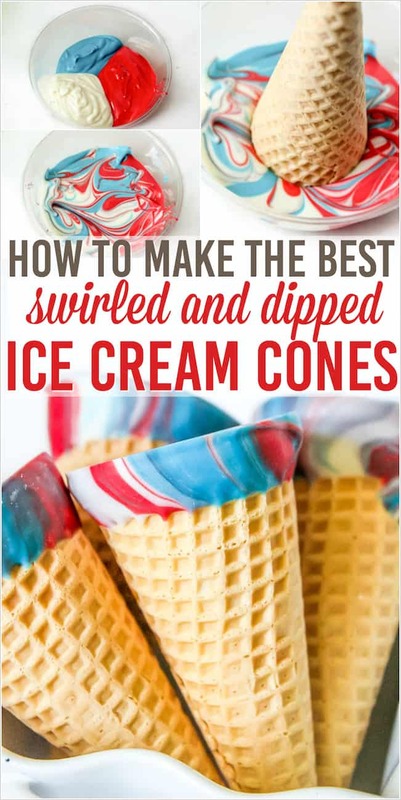 You can also roll the freshly dipped cone in sprinkles, sanding sugar or other decorations! 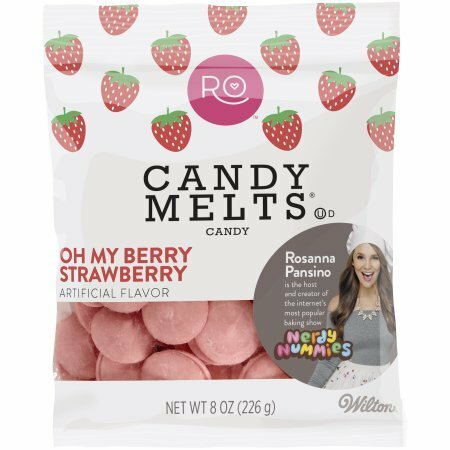 1 1/2 cups candy melts, total. I used 1/2 cup of each color. Lay wax paper or parchment paper down on a baking sheet. 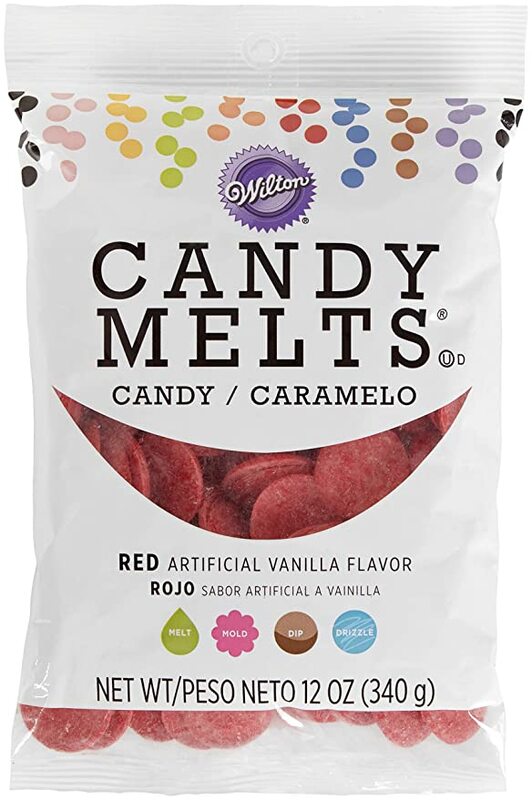 Put each color or flavor of candy melts in a separate dish. 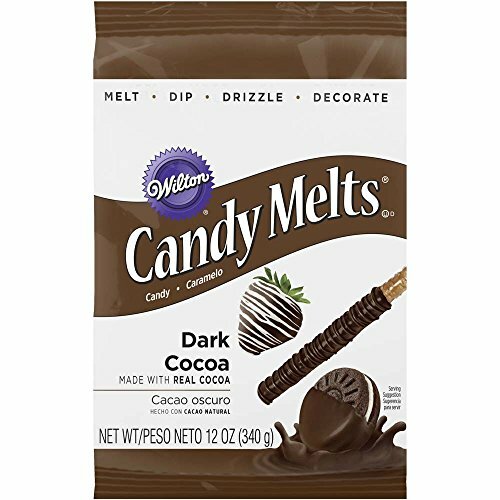 Melt according to package instructions. Combine all the candy melts into a single bowl. This works best if your bowl is just a bit wider than your sugar cone. 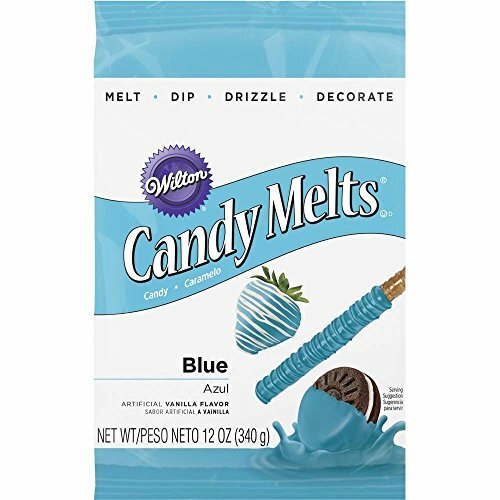 Use a toothpick or a thin knife to swirl the colors of candy melts together. Dip a sugar cone in the mixed, melted chocolate, then lift it out slowly, letting the excess drip off. Hold the cone upside down for a few seconds before setting it down on the parchment paper. Let the dipped sugar cones sit for 15-30 minutes to set. You can also carefully put them in the freezer for a few minutes to speed up the process. Serve immediately, or store tightly-wrapped in the freezer for up to 30 days. 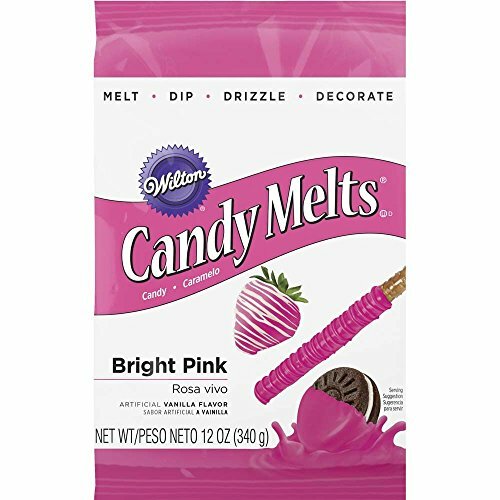 Once you have the candy melts in the flavors and colors you want, you just melt each color in a separate dish. Stir until smooth. Scoop out each color of candy into a single small bowl. Try to use one that isn't much bigger than the size of the cone. 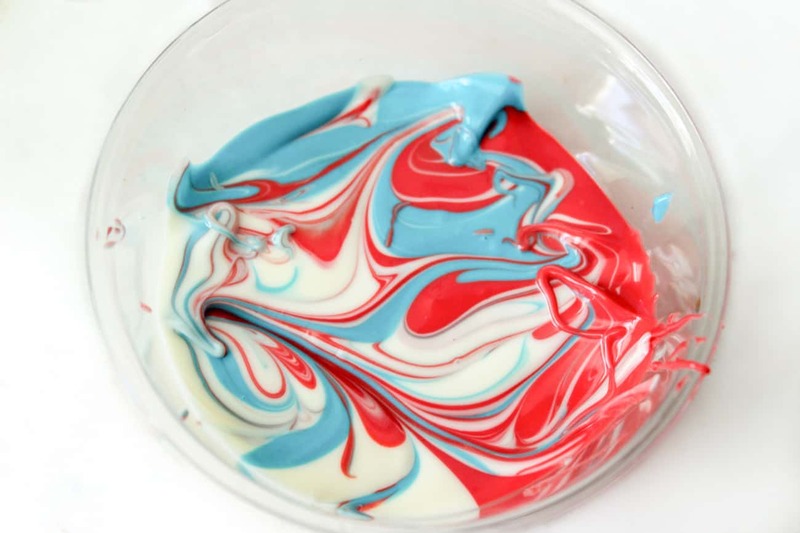 Use a toothpick or a thin table knife to gently swirl the colors together. Be careful not to overmix them. Dip a sugar cone in the mixed, melted chocolate, then lift it out slowly, letting the excess drip off. Hold the cone upside down for a few seconds before setting it down on wax paper. This will let the candy harden so the edge of the ice cream cone looks a bit nicer. 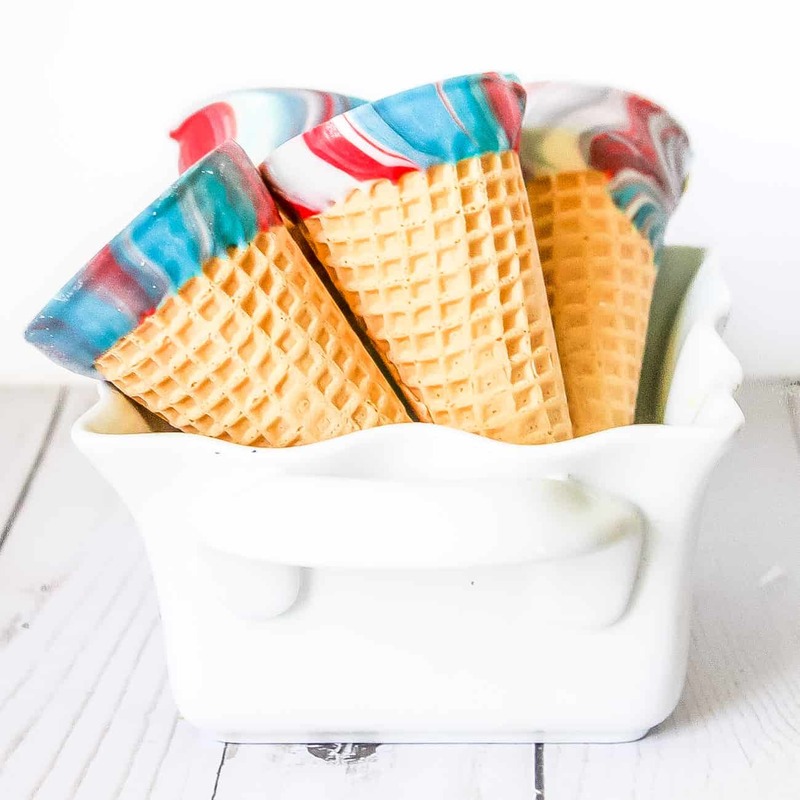 Set the dipped sugar cone on wax paper or parchment paper to let the melted candy cool and set. Repeat for all 12 of the sugar cones you're dipping. Let the dipped sugar cones sit out for 15-30 minutes to harden. You can carefully put them in the freezer to speed this up if you can't wait to serve your fancy ice cream cones. If you don't love the way the colors or swirls turned out, you can dip them again after the layer of chocolate has hardened. The candy will be extra thick on the cones, but I promise, no one will complain about that! 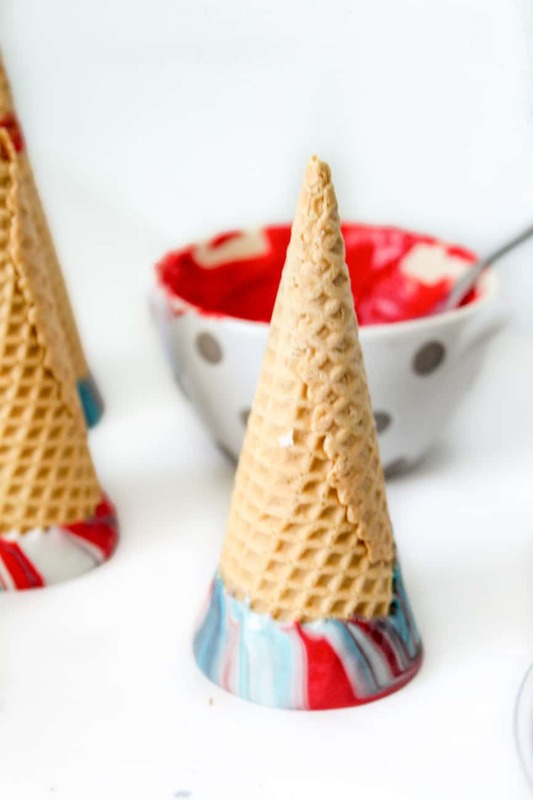 The really great thing about this recipe for dipped sugar cones is that you can freeze all the dipped cones in an airtight container for up to a month. 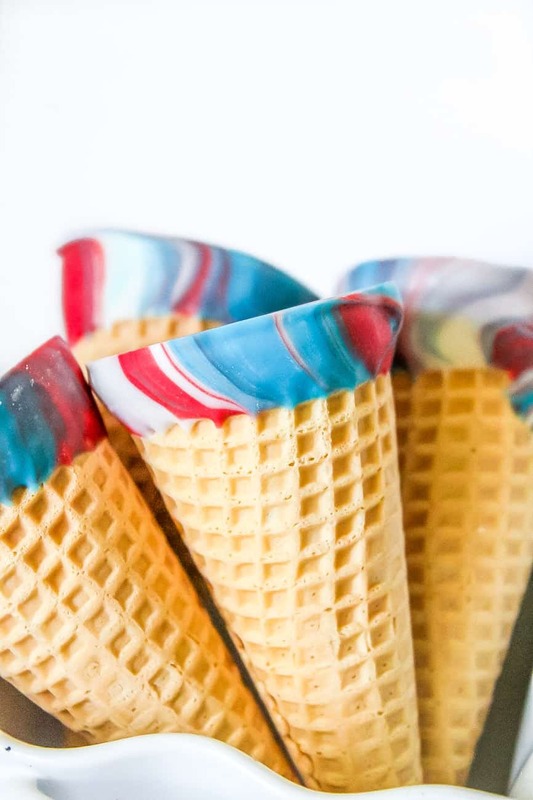 If you want to have a patriotic ice cream dessert for the 4th of July, just make these when you have a bit of free time up to a month before the holiday! If you do make these dipped cones ahead of time, I recommend wrapping them in wax paper or parchment paper, then putting them in a hard container (these work well and they're just a few dollar each) to freeze so they don't accidentally get crushed. 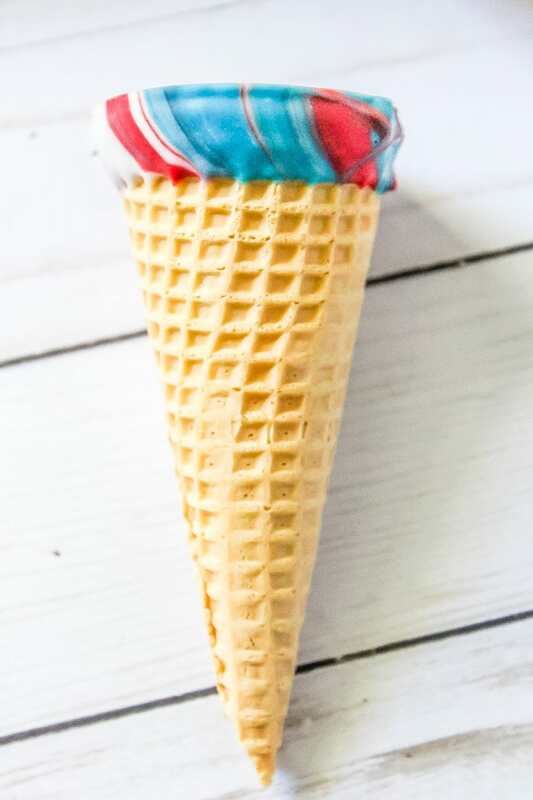 Scroll down to get the printable recipe for these rainbow dipped sugar cones! 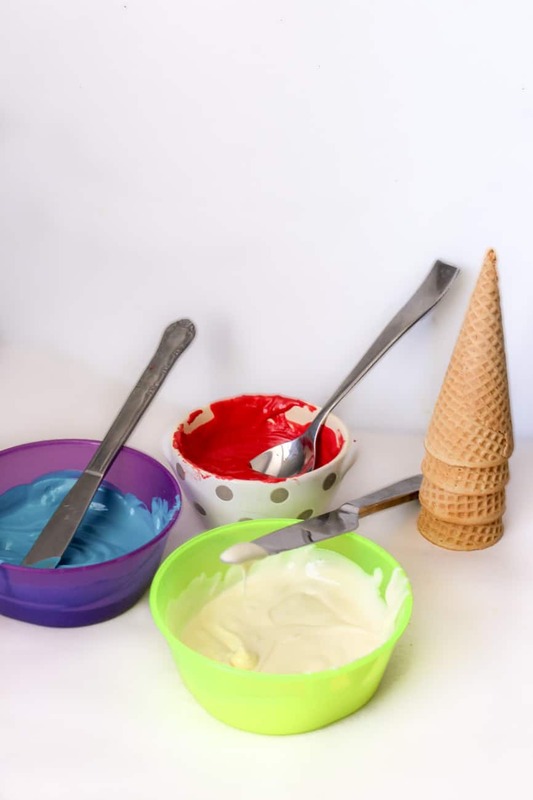 Here's a recipe with all the instructions you need to make dipped sugar cones in a rainbow of colors. 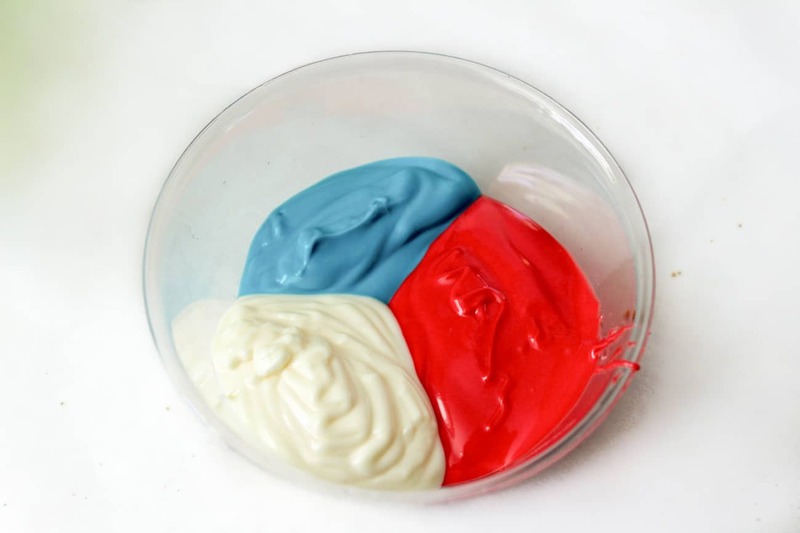 We used red, white and blue for a patriotic dessert, but you can choose any colors. You can also decorate the dipped sugar cones by rolling the freshly dipped cone in sprinkles, sanding sugar or other decorations! 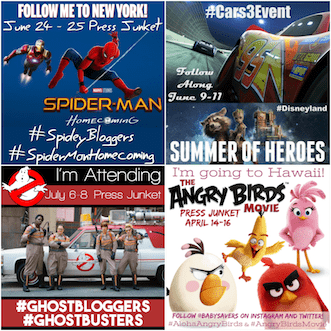 Save this on Pinterest to share it with your friends and followers!